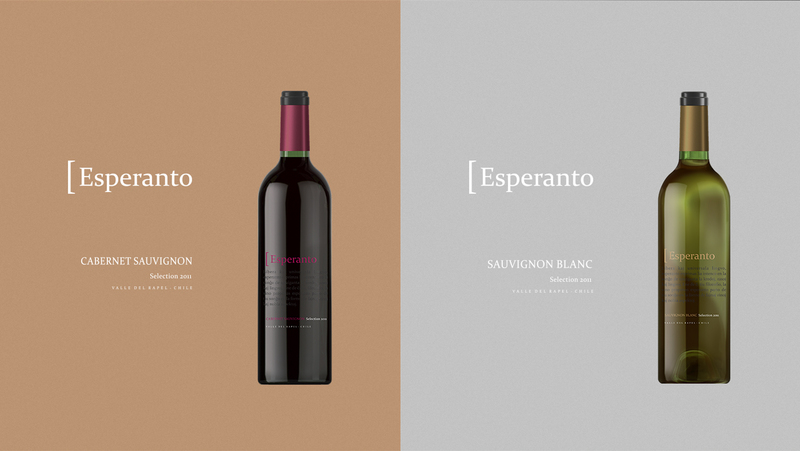 Esperanto wine brand was created to tell stories. 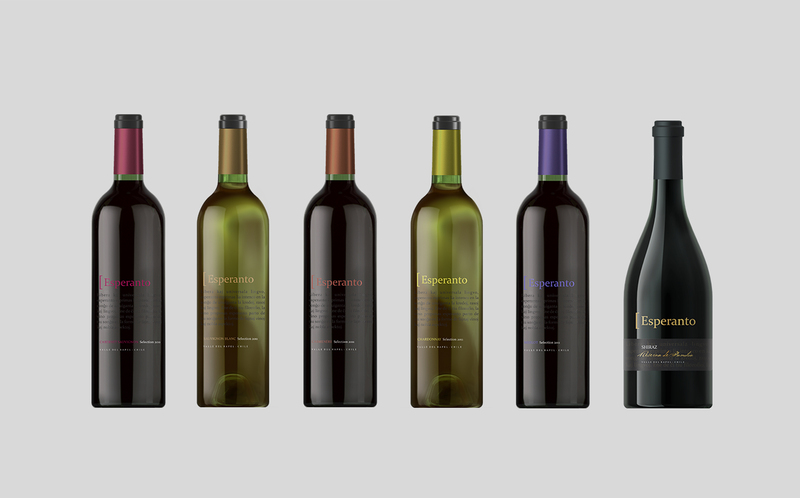 The challenge was to create a sober, sophisticated, and minimalist label design for wine, targeting highly demanding consumers. We created a line of typographic labels, printed directly on the bottle. The text, written in esperanto says: “Esperanto, an universal and free language, manifests in its intentions the dream of uniting beliefs, ethnic groups, languages and time. We are all the same in a celestial aspect, we can all be alike through speech, learning and growth. 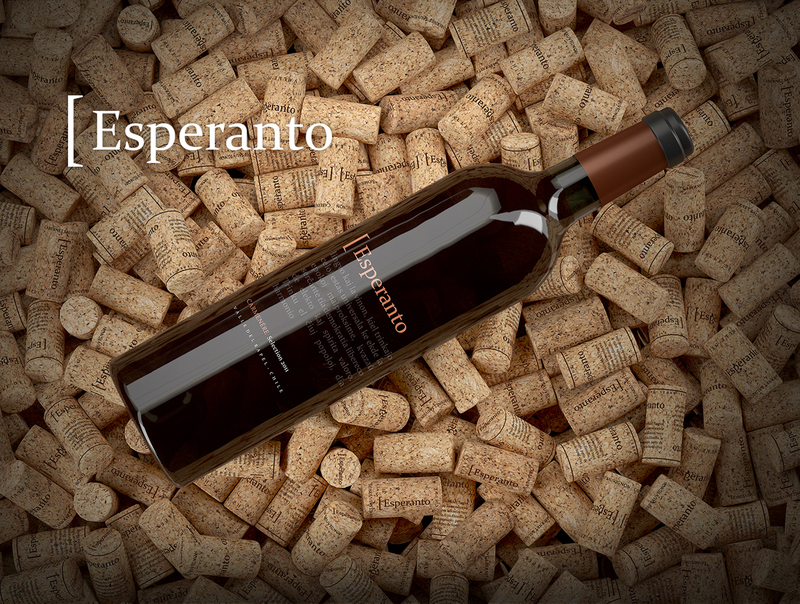 Within this philosophy, the Esperanto wine offers a piece of this dream in the form of a fine, fruity wine. 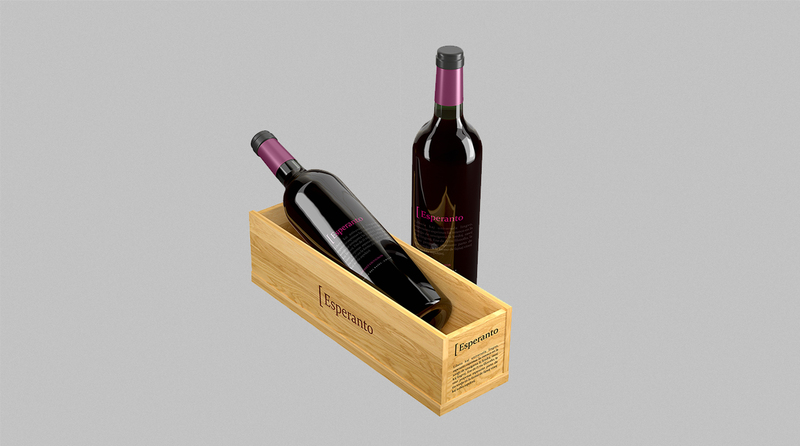 Crafted with high technical standards, human values and noble tasting, following the intentions carried by its name. 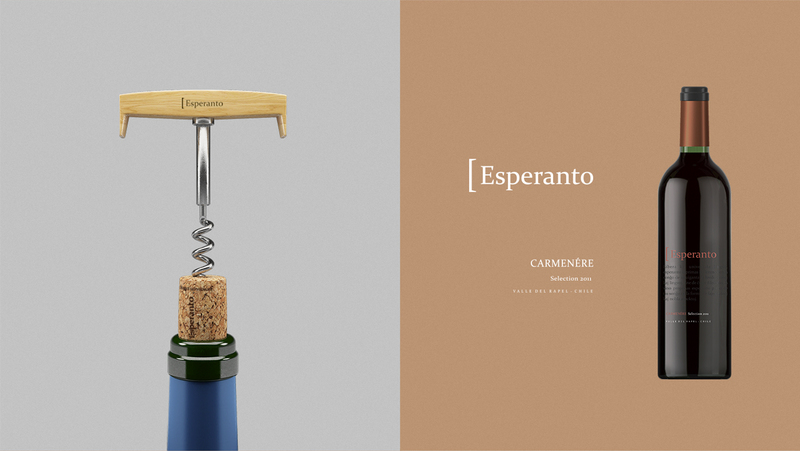 Esperanto, as an universal language and the wine, as an universal beverage, are followed since ancient times as a democratic model of free choices and spiritual values. Beverage of all people, divine harmony!”. 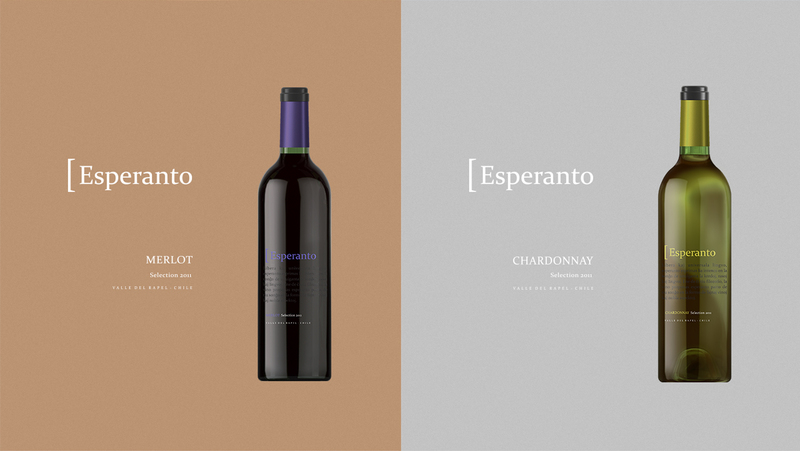 The color pallete was chosen to match the grape variety of each wine. 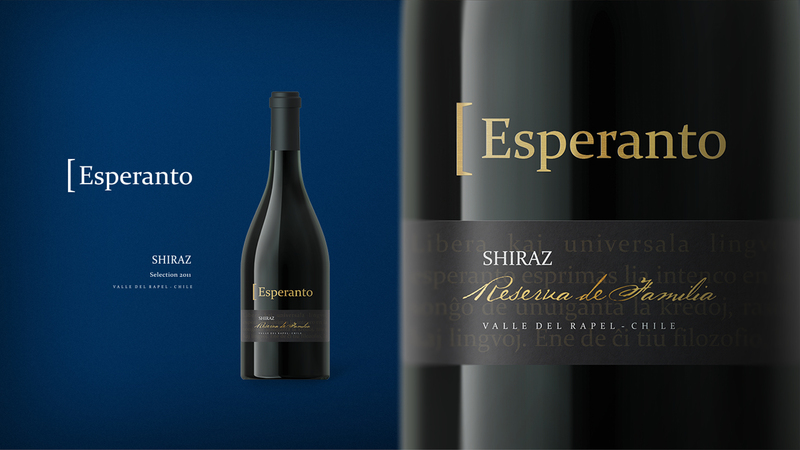 For the top line product, Esperanto Family’s Reserve, the label combines direct print on the bottle with an adhesive textured paper with gold hot stamping finish.